YOUNG IDEAS is an MGM "B" movie which starts poorly but builds to an entertaining second half, thanks largely to the talent of its fine cast. Jo (Mary Astor), a best-selling author, is swept off her feet by small-town chemistry professor Michael (Herbert Marshall), much to the dismay of Jo's college-age children Jeff and Susan (Elliott Reid, Susan Peters). Jeff and Susan don't want to leave their home in New York, and Jo's agent Adam (Allyn Joslyn) is also apoplectic. Adam conspires with Jeff and Susan to break up Jo and Michael's marriage. Jeff and Susan are unpleasant brats as they relentlessly lie to Michael to sabotage the marriage. (Indeed, Jeff's character is obnoxious throughout, although he attempts to redeem himself late in the film.) The film takes a turn for the better once Susan falls in love with an earnest young professor (Richard Carlson) and regrets what she's done to her mother's marriage. There are some genuinely funny moments late in the film, including the climactic courtroom scene. All in all, however, the script did not deserve such an outstanding cast. Susan Peters was a radiant young actress, and she and Carlson are reason enough to see the film. 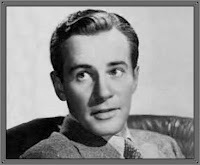 Carlson was quite charming as a young man, in films such as this and THE YOUNG IN HEART (1938). Peters, whose film KEEP YOUR POWDER DRY (1945) was reviewed here last year, is perhaps best known for her Oscar-nominated role as Kitty in RANDOM HARVEST (1942). 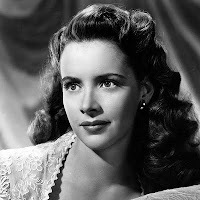 Her too-short career was cut short by a paralyzing accident on New Year's Day, 1945, and she passed away in 1952. The accident was a tragedy for Miss Peters personally, as well as for film fans who will always wonder what might have been. As a side note, SONG OF RUSSIA (1944), in which Peters appeared opposite Robert Taylor, will air on Turner Classic Movies on April 13, 2010. Look for MGM ingenues Dorothy Morris, Frances Rafferty, and Jean Porter as college coeds; Noel Neill (of TV's SUPERMAN) plays another coed. IMDb also credits Ava Gardner as a coed, but I didn't spot her. George Dolenz (father of Micky Dolenz of the Monkees) and Emory Parnell also appear in the film. A bit of interesting Disney trivia: Elliott Reid wears a Mickey Mouse sweatshirt in the movie's final scenes. It was fascinating seeing Mickey appear on clothing of the WWII era. YOUNG IDEAS was directed by Jules Dassin, whose best films during his brief tenure at MGM included THE AFFAIRS OF MARTHA (1942), a delightful B movie starring Richard Carlson and Marsha Hunt, and THE CANTERVILLE GHOST (1944) with Margaret O'Brien, Charles Laughton, and Robert Young. This film was shot in black and white and runs 77 minutes. YOUNG IDEAS has not had a video or DVD release, but it can be seen as part of the MGM library shown on Turner Classic Movies, which has the trailer available here. March 2012 Update: YOUNG IDEAS is now available in DVD-R format from the Warner Archive. Was this on recently? I'm so sad I missed it. I really wanted to watch this Susan Peters film in particular. :-( I'm so jealous Laura! Sounds wonderful. I'd love to see it!! !